Thanks to The Dodo for publishing Letter to a Young Matt: Excerpt from the Upcoming Book The Accidental Activist. Click for larger. Cover by Dagmar Breg. You can learn more at TheAccidentalActivist.net and pre-order at Amazon.com. For over two decades Matt Ball has shaped, led, and expanded vegan advocacy. He’s shared a wealth of information over these years – in articles, speeches, pamphlets, interviews, and other outreach sources – never hesitating to examine and modify his own assumptions and strategies as he went. 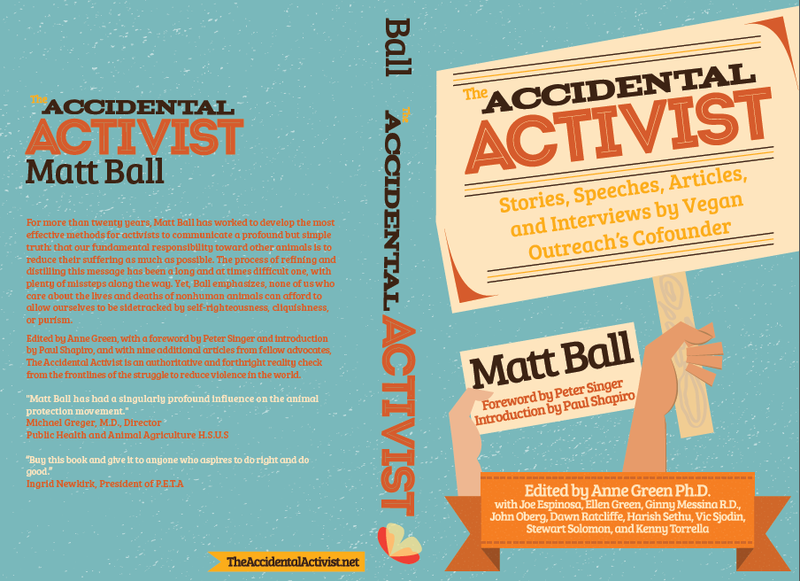 The Accidental Activist highlights the best of his work, with the added bonus of pieces by other leaders in the movement whom he’s inspired. Read it and be inspired, too.